The UK's Nuclear Decommissioning Authority (NDA) and Electricité de France (EdF) have launched the process for the sale of areas of land adjacent to three Magnox nuclear power plant sites. On 10 September, the NDA announced that it was preparing an initial tranche of land sales. It identified areas of land to be disposed of in the first tranche of its land disposal programme adjacent to existing plants at Wylfa in Anglesey, Oldbury in Gloucestershire and Bradwell in Essex. It subsequently announced that it had reached agreement with EdF for the simultaneous marketing of the land owned by NDA at these sites along with the land owned by EdF at Wylfa. The NDA is now calling for expressions of interest for the purchase of the land. At Wylfa, two lots of land belonging to both the NDA and EdF, totalling some 178 hectares, adjacent to the currently operating Wylfa plant, are to be sold. The buyer will also have the option to acquire any grid connection rights is respect of Wylfa held by EdF or the NDA. 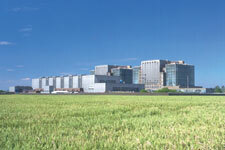 The existing Wylfa plant is scheduled to shut down in March 2010. Some 48 hectares of land belonging to the NDA is also to be sold at the Oldbury site. The land is adjacent to the currently operating Oldbury plant, which is scheduled to close at the end of 2008. Also, an area of land of some 616 hectares in the River Severn estuary, including a tidal reservoir, will be included in the sale. The tidal reservoir will be the subject of a short-term leaseback. In addition, some 200 hectares of NDA-owned farmland adjacent to the Bradwell plant is also to be sold. The Bradwell plant is currently being decommissioned. The NDA said that it "will give consideration to the proposed use if this could have a detrimental effect on the NDA's adjoining landholdings which are to be retained and are either currently active nuclear power stations or in the course of being decommissioned." The process - to be managed by the NDA - will be open to interested parties who submit compliant proposals. However, the NDA said that it reserves the right to exclude parties at any stage "who do not offer a reasonable prospect of delivering value." After a period of initial dialogue, interested parties will need to submit an indicative proposal with details about their bid and a preliminary valuation. The auction is expected to be held in the first quarter of 2009. However, this is conditional upon EdF's offer for British Energy (BE) becoming unconditional. The offer is still subject to final regulatory approval and sufficient BE shareholders accepting the offer. A spokesman from the Department of Energy and Climate Change (DECC) told Reuters, "We've been clear that we want to see more than one new nuclear operator in the UK and this sale has the potential to make that a reality." He added, "The land on offer will be highly attractive to power companies interested in new build, alongside separate plans from EdF for four reactors on British Energy sites."